Silvaco plans to showcase the company’s AHB, AXI, and I3C Subsystems at the Embedded World Conference 2018 in Nuremberg, Germany February 27-March 1, 2018. Meet us in booth #4-682. Silvaco will attend the I3C Interop Workshop Vancouver March 12-13, 2018. Silvaco is proud to be part of the asicNorth IoT Ecosystem with the inclusion of our AHB Low Power subsystem in asicNorth’s inaugural IoT Endpoint Platform. The IoT Endpoint Platform is structured to be highly configurable enabling support for various radio protocols, ARM Cortex®-M0 compatible peripherals, analog/mixed-signal requirements, and external sensors. This platform gives customers the benefits of reduced development costs and faster time-to-market than traditional ASIC developments. Silvaco has products to support the latest Serial Flash Controllers from the standard manufacturers such as Adesto, Micron, Winbond, Macronix, Spansion, GigaDevice, and more…. Our feature rich Quad SPI and Octal SPI Cores are highly configurable and support Execute in Place (XIP) and DMA which is needed for today’s IoT products as well as many other products such as smart sensors, industrial controllers, medical devices, wireless routers and gateways. Another very popular core is our SPI to AHB Bridge. This core is useful for updating software from both a debug and a production environment using SPI (Serial Peripheral Interface). Silvaco has an extensive portfolio of production-proven automotive interfaces including CAN and FlexRay standards. Our FullCAN core is a full-featured CAN 2.0B controller suitable for most applications requiring CAN connectivity. Our MultiCAN core is a multi-channel controller suitable for advanced applications such as a CAN gateway. Finally, our FlexCAN core is an advanced core that supports both CAN 2.0B and the CAN-FD extensions. All of the cores have been seen volume production in vehicles. Avery Design Systems is a strategic partner of Silvaco, offering a rich and comprehensive set of UVM-compliant verification IP that customers can use in conjunction with Silvaco cores to validate their SoC designs. Most recently, Avery and Silvaco have collaborated in providing customers with a full I3C solution, including transactors and compliance test suites. 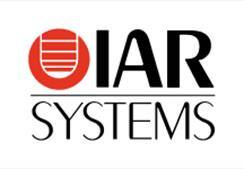 Silvaco has partnered with IAR to provide software solutions for our AMBA Subsystems using the IAR Embedded Workbench tools. All of our AMBA Subsystem code base and building blocks are available to customers as IAR Embedded Workbench projects. This includes kernels, drivers, HALs and other application support software. With the Embedded Workbench integrated, SoC designers will significantly improve efficiency, increase time to market, and reduce cost of supporting free tools. Silvaco has a series of short videos where Warren Savage, General Manager of Silvaco’s IP division, interviews key people in IP. Check out our IP Watch YouTube site including recent interviews with Drew Wingard (Sonics), Ted Miracco (SmartFlow Compliance), Rob Mains (Technology Executive Consultant), and Prof Jing Jang (Kyung Hee University). This webinar will provide an overview I3C as a new standard that has advantages in reducing pin count, increasing performance, and decreasing power while achieving some level of backwards compatibility with the long established I2C interface. (Language: English) View the recorded webinar here.